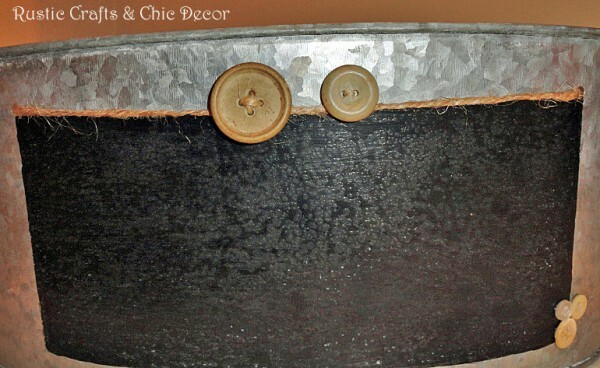 Chalkboard paint has to be one of my favorite products for home decor projects. There are so many ways to turn everyday objects into surfaces for artwork or scribbling. If you are wondering what to do with chalkboard paint, look no further. 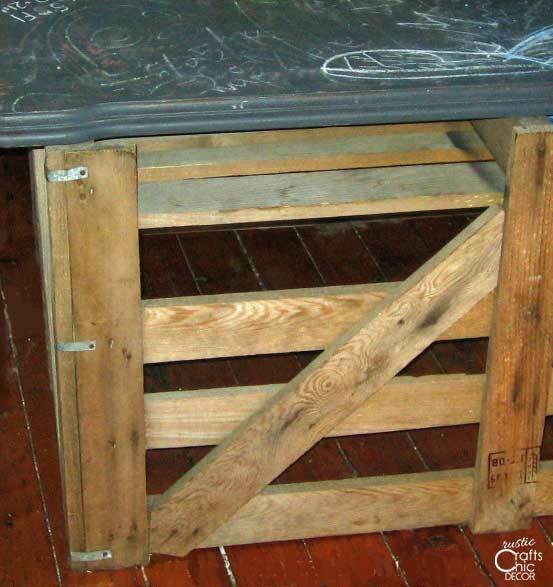 I have several ideas for ways to use chalkboard paint. A boring tabletop can be made fun with a little chalkboard paint. This rustic table was in one of my daughter’s first apartments. It was a great place to doodle and make notes for her and her roommates. Why stop at a small chalkboard when you can do a whole feature wall? The idea of having one entire wall as a chalkboard can be chic and stylish as well as a lot of fun to use. It could be done in an entry way, kitchen, playroom or other family area. 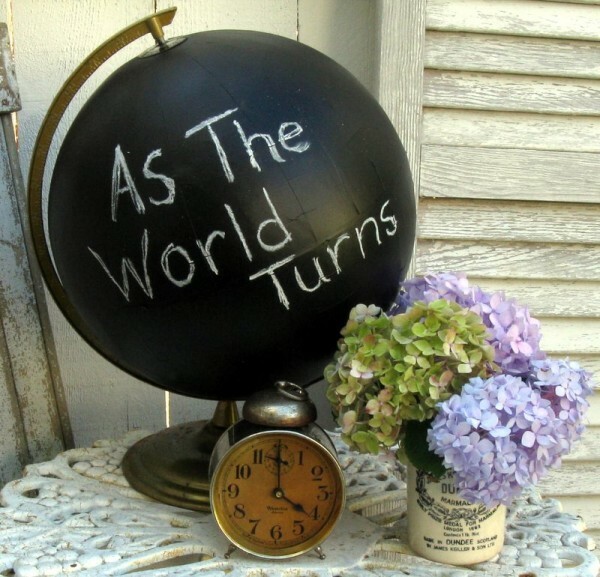 This is a great way to repurpose an old globe and give it some new style. The black paint looks nice and sleek and you can add any message with the crisp white chalk. You could even outline the world, in white, to still have the globe affect in more of a chic style. Tired of the usual numbers on a clock? 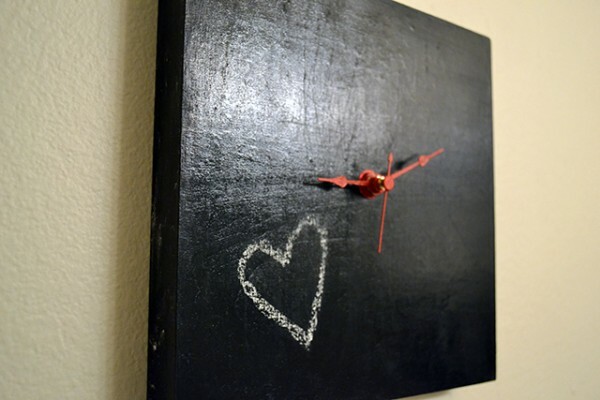 Create a chalkboard clock and draw your own symbols or symbol with chalk! 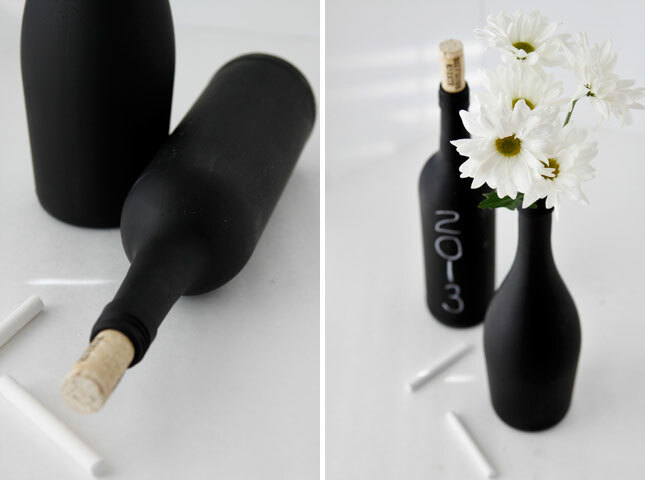 Painted wine bottles can be used in home decor and for a special event. The chalkboard paint makes it possible to draw a message or design on with chalk to further personalize. 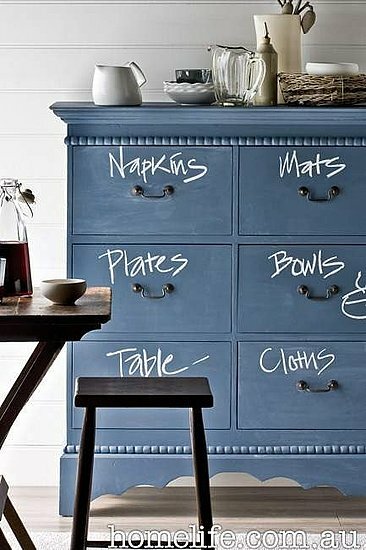 Paint a dresser with chalkboard paint and then label the drawers with chalk for easy organization. This works for not only in a bedroom but also in a kitchen like this fun example for dishes and linen storage. 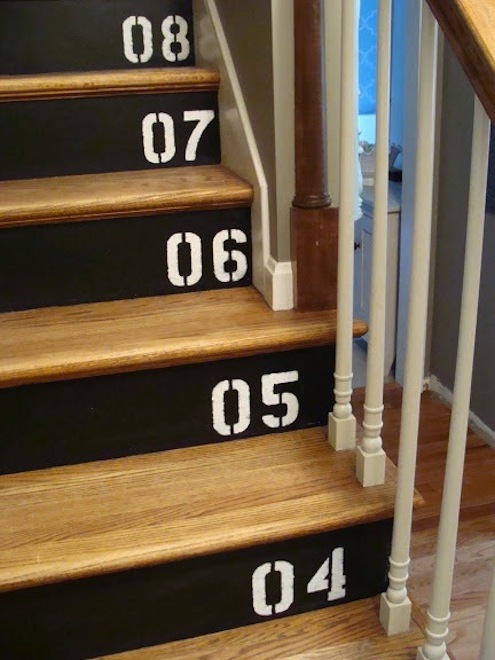 Make your stair risers pop with chalkboard paint! 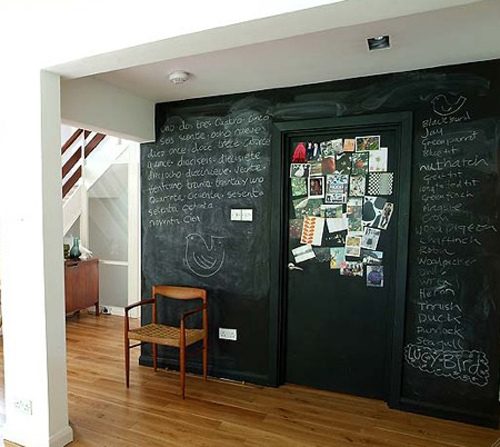 Have you painted anything unusual with chalkboard paint? What are some unique ideas that you have? 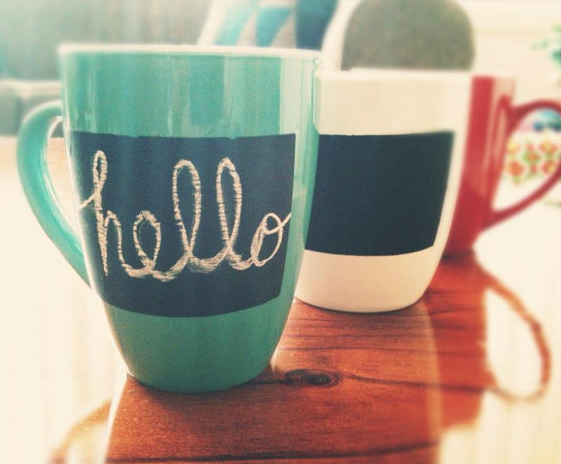 Share your thoughts and ideas of what to do with chalkboard paint.